Do you have any evil digital Christmas gift wishes? This CRYPTOlunch will enlighten you! We will keep the same event format which characterizes the CRYPTOlunch soul. Free food, interesting and funny facts and sound practical tips will be given by information security experts. 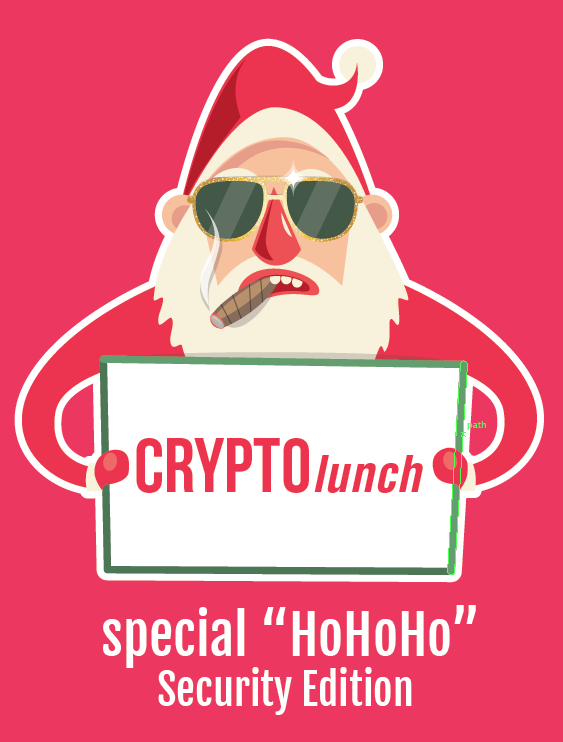 We will avoid to talk about the boring stuff and concentrate on the Christmas spirit for this “HoHoHo” Security Edition of CRYPTOlunch. What do the evil elves have in store for you? What should you be aware of to secure your digital life? Matthieu Farcot, legal expert at SECURITYMADEIN.LU, and Chris Pinchen, founder of The Privacy Agency, will answer all your questions.